TThe Hotel Show Africa 2018, taking place from the 24th to the 26th of June 2018 at The Gallagher Convention Centre in Johannesburg, will be introducing owners, operators and managers of hotels, restaurants, cruise liners, resorts, cafes, bars, pubs and clubs from around the continent to a new era of hospitality. The sector is one of the fastest-growing and most vibrant within Africa’s economy and has significant potential to create jobs, uplift inclusive economic growth across the continent and reduce poverty, according to PwC’s Hospitality outlook: 2017-2021. “This is the second year that we have brought the largest and most comprehensive business-to-business event for the hospitality industry to Africa and the 2018 show promises to be an exciting second outing, with even more exciting innovations and new ideas for the sector,” says Brad Hook of dmg events, organiser of the continent‘s premier hospitality and F&B shows. 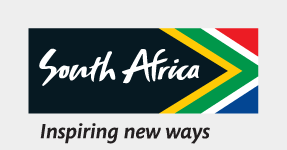 During the three-day event - which will be officially opened by the Deputy Minister of Tourism, Elizabeth Thabethe - attendees will be treated to 100 local and international exhibitors showing off the latest hospitality innovations in areas such as interiors, lighting and design, technology, security and catering equipment, to list only a few. Other highlights are set to include The Southern Africa Housekeepers League of Champions, The Chefs Challenge and free barista and mixology training. One of the most eagerly anticipated elements of the Hotel Show Africa 2018 is the Hospitality Leadership Forum, featuring a line-up of 84 speakers from various spheres such as Mmatšatši Ramawela, CEO of the Tourism Business Council of SA; Victor Tharage, Director General of the National Department of Tourism SA and Dorcas Dlamini Mbele, Group Sales Director, Protea Hotels by Marriott. Topics to be tackled over the conference’s 12 sessions include ‘Empowering women in hospitality leadership’; ‘African hospitality trends and outlook’ and ‘Digital marketing & branding‘,”Where does today’s GM sit?”, amongst others. “Our aim with this year’s conference is to meet the needs of all hospitality professionals from smaller, independently-owned hotels, to large, international establishments. Each day will be packed with in-depth discussions and debates amongst expert speakers with differing views and experiences to ensure that delegates get a full range of insights and ideas,” shares Hook. A new feature debuting at this year’s show, the Africa Housekeepers League of Champions, will see housekeeping teams from around the continent competing against each other (and the clock) to see who can make up replicas of two hotel rooms in just seven minutes. Up for grabs is the honour of being named the best in South Africa. With The Hotel Show offering attendees a unique networking platform that also enables them to develop their skills and knowledge, the free barista and mixology training offered will help visitors hone their coffee and alcoholic beverage-making expertise. Not only will they learn how to make the perfect cup of Joe and create classic cocktails with a modern twist, but also get a better understanding of the beverage business. To see, try and buy new technologies and products, meet, mingle and network with potential partners and discover the future direction of Africa’s hospitality industry, visit https://www.thehotelshowafrica.com to register for a free show pass and to get more information on the event that is helping to redefine hospitality.